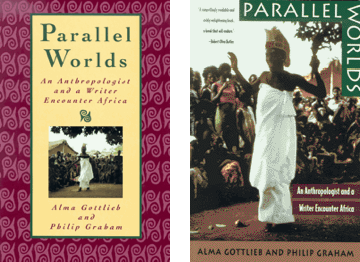 Parallel Worlds: An Anthropologist and a Writer Encounter Africa, co-authored with Alma Gottlieb (Crown/Random House, 1993; paperback University of Chicago Press, 1994). 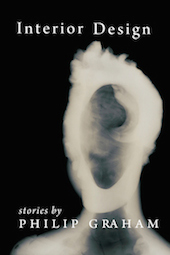 Excerpts appeared in Poets & Writers Magazine, Writer’s Digest, and The Cream City Review. The winner of the 1993 Victor Turner Prize, Parallel Worlds has been taught internationally in over 300 colleges and universities. 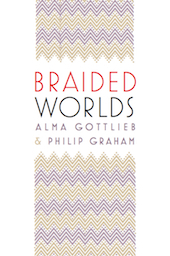 Braided Worlds, the second volume of Gottlieb and Graham’s memoir of Africa, was published by the University of Chicago Press (Fall 2012). In 2020, Parallel Worlds and Braided Worlds will be published in Chinese translation by East China Normal University Press. “Parallel Worlds is that miraculous nonfiction book which reads so compellingly that one goes to bed wondering what will happen next and wakes up glad to find that there are still pages to go. It merges our own parallel lives as professionals who seek out ethnographies from duty and as readers who surrender to an engrossing book with joy.” –Kirin Narayan, reviewing Parallel Worlds: An Anthropologist and a Writer Encounter Africa for Anthropology and Humanism, vol. 20, #1, 1995. “Colliding Genres, Collaborating Spouses,” a podcast of Alma Gottlieb and Philip Graham discussing the process of writing Parallel Worlds (at the 2005 NonFiction Now conference at the University of Iowa) can be found and listened to here (skip to the 51 minute mark). 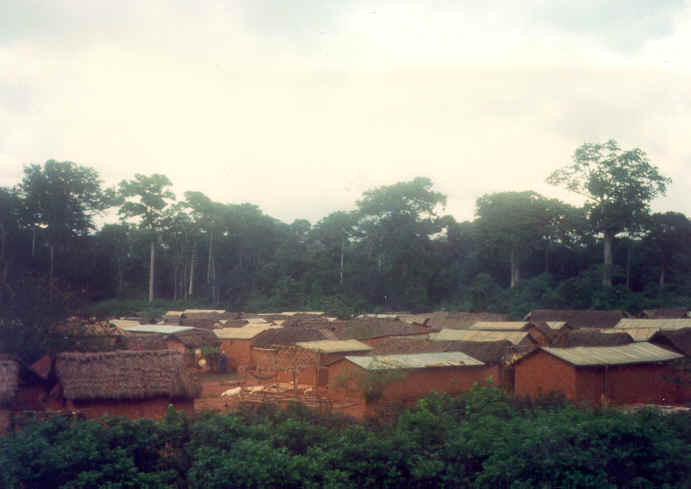 This memoir of Africa, written in alternating first-person narratives, recounts the experiences of the anthropologist Alma Gottlieb and fiction writer Philip Graham as they lived in two remote villages among the Beng people of Cote d’Ivoire. Parallel Worlds chronicles the vibrant daily lives of West African villagers, and the parallel, invisible realm of spirits that surrounds them. 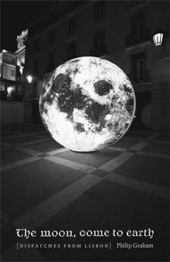 The royalties from Parallel Worlds are dedicated to the Beng people. Alma and I grew increasingly attuned to the order of invisible beings as Aba Kouassi continued recounting the cosmology that was carried inside every person we passed on a village path or bargained with in the market: another universe–a parallel world–in familiar bodies and the multiplication, in a crowd, of strange, shared secrets. 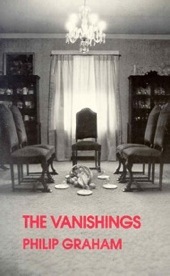 Now whenever I awoke in the middle of the night and listened to the convoluted rustle of wind–as complex as speech–I imagined that someone in another compound might also be lying awake, trying to interpret the hushed movement of spirits. I’d long believed that spirits were creatures of the imagination; now I felt that spirits indeed existed–because they were creatures of the imagination. The spirits lived within the Beng and therefore outside them as well, for those interior presences also filled up their outer world. During another session, Aba Kouassi told Alma of the different methods that diviners employed to attract spirits–laying out red cloth, white powder, small statues. Drawn to these enticements, spirits then spoke to diviners, revealing the causes of an illness or who was bewitching whom. I’d heard such descriptions before, so I continued to write in my notebook, only half listening. But when Aba Kouassi said that diviners were the point where the spirit and human worlds communicated, something clicked. 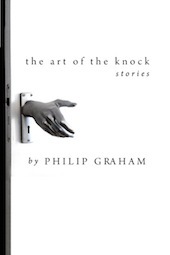 “Philip?” he replied, his eyes squinting and skeptical in the dark room. “And my paper, and pen,” I said to her, and she understood. Aba Kouassi regarded me carefully as I sat with my notebook in hand. I could see he understood. He had often seen me sitting silently in a corner, then suddenly scribbling furiously: a plausible enough sign of possession. The next morning, as I sat at our desk in the middle of the compound, no one interrupted me while I wrote, for in the eyes of the Beng my typing was now a physical act that revealed a hidden world. I realized that in the past I had made the mistake of defending my writing solely as labor, as if my typewriter were some sort of tiny, mechanical farm, each line of words another row of crops. 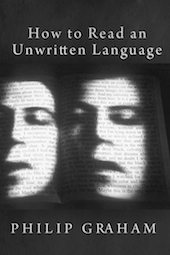 But the Beng also understood the invisible world, and now, sitting at my typewriter, I was both outside their world and within it: I wrote for hours without distractions, visited by spirits the Beng could now imagine. After all these years I had finally found a complementary fit with my own culture, for what writer would disagree that we are possessed–by our imaginations, our interior voices, those gifts that surge up from within? Our characters call us, as we call them, and from that invisible, intuitive relationship our stories grow. And once created, those creatures of the imagination make their place out in the world–on a page, in a reader’s mind. Philip Graham clomping away at a typewriter in the village of Asagbé, 1985.